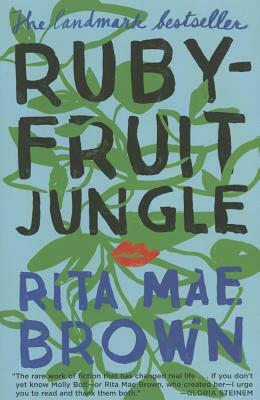 A landmark coming-of-age novel that launched the career of one of this country’s most distinctive voices, Rubyfruit Jungle remains a transformative work more than forty years after its original publication. In bawdy, moving prose, Rita Mae Brown tells the story of Molly Bolt, the adoptive daughter of a dirt-poor Southern couple who boldly forges her own path in America. With her startling beauty and crackling wit, Molly finds that women are drawn to her wherever she goes—and she refuses to apologize for loving them back. This literary milestone continues to resonate with its message about being true to yourself and, against the odds, living happily ever after. Rita Mae Brown is the bestselling author of the Sneaky Pie Brown series; the Sister Jane series; A Nose for Justice and Murder Unleashed; Rubyfruit Jungle; In Her Day; and Six of One, as well as several other novels. An Emmy-nominated screenwriter and a poet, Brown lives in Afton, Virginia.